Truckers spend hours on the road each day. For most drivers, being behind the wheel that long would make them antsy and distracted. To help ensure truckers remain focused on the road, they are required to take regular breaks, and there are limits on the number of hours they can work in any day. When the rules are followed, they can help keep everyone on the road safe. However, when truckers falsify their logbooks or when trucking companies knowingly allow unsafe drivers to drive thousands of miles through Virginia, it puts everyone at risk. 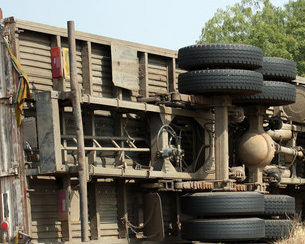 Because of the size difference between cars and trucks, truck accident victims often suffer severe or fatal injuries. Our Manassas truck accident attorneys know that there is no amount of money that can make the situation better, but it can help alleviate the stress caused by egregious medical bills or funeral expenses. If you were injured in a truck accident or your loved one was killed in a truck accident, it’s important to fight for your right to compensation. We aggressively pursue the financial settlements our clients need. Learn more about the representation we provide by scheduling your free initial consultation. Our lawyers can be reached online or by calling 703-361-0776.